A manifesto is defined as “a public declaration of intentions, opinions, objectives, or motives, as one issued by a government, soverign, or organization”. In other words, a manifesto is where you draw a line in the sand. It’s a combination of value statements and promises and helps people know what they’re in for if they come into your sphere. 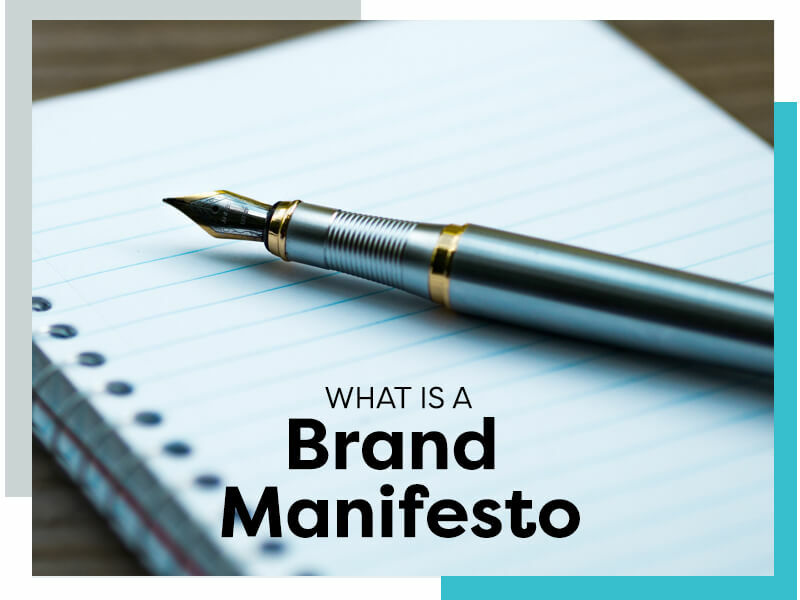 A great manifesto expresses the beliefs that you won’t back down on and gives your audience a benchmark to hold your brand accountable. When I help clients identify their brand values, I always ask if they could hold them even if it was a competitive disadvantage to do so. Writing a manifesto falls into the same bucket. These are gritty, sometimes polarizing statements that articulate the very heart of your brand. This is where a lot of entrepreneurs fall down. They confuse what they care about with what their audience cares about. I could write a manifesto that says I like cheese and Netflix but that does nothing to express the beliefs of my brand. While I might make some friends who in turn could possibly hire me, odds are better that I will just confuse everyone about what (if anything) sets my business apart. My likes are, sadly, forgettable. At the end of the day, a brand manifesto serves a higher calling. It’s not a list of your favourite things; it’s a rallying cry and a line in the sand. It describes your vision for the world and allows your perfect people to join you on a mission to achieve it. What do you value that you can and do prove every day in your business? What is your biggest goal for your business? Good luck with your brand manifesto! If you’re struggling to pull it all together, I can help.